One trend I’ve noticed since we’ve been supplying BackupAssist is the popularity of RDX and REV drives for image backups, particularly in small and medium-sized businesses. I put this down mainly to how cost-effective they can be in comparison to similar capacity tape devices, and also that they still provide that same familiar multiple cartridge approach that tape device users are used to. Even though RDX and REV drives can be used in a similar way, the underlying technology is very different. Unlike tapes, RDX and REV drives are based on magnetic disk technology, just like removable hard drives but with important difference – they are presented to the Windows operating system as “removable drives”. For BackupAssist, this means backups appear just as they would if they’d been written to a DVD or CD drive. So when using RDX or REV drives with Backupassist image jobs, the destination cannot be used in the same way as a disk drive destination, there is no differential image update support and a compressed VHD file is created on the destination. So when using BackupAssist, it is possible to back up disk images to these devices for bare-metal full restore, or for restoring complete volumes, but unfortunately the drawback of using compressed VHD files is that they cannot be mounted for file access. These image backups cannot be used to restore individual files and directories, or individual applications. In contrast, when using USB or local hard drives as destinations for your image jobs, you can restore both individual files and folders and also applications. Remember, this only applies to image jobs. If you wish to store file and folder backups using RDX and REV drives you can do this using a file replication job. This will provide version history on your files that’s far better than can be achieved with drive imaging. Then configure a second imaging job to back up your system using the Windows imaging engine which will enable you to restore quickly from bare metal should you need to. I hope you found that useful – please feel free to leave any comments below! We started using RDX drives with our clients when we used Backup Exec. 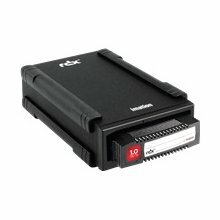 Since switching to Backup Assist we havn’t supplied another RDX type drive. For us, the limitations are too great so we instead use 2.5 inch portable USB drives. They are cheaper, support all the features of BA, larger in capacity and still easy for the end user to swap out. They are also not reliant on the “caddy/enclosure” so have less to go wrong. 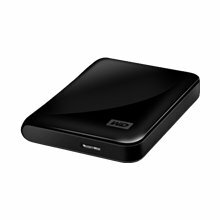 Where we have a RDX in use at a client’s site, we also have a single USB external hard drive that we run a seperate image, file replication and email backup to. This is for convenience with only the RDX being used for the off site backup. It’s a real shame the RDX drives have these limitaions as to the client the RDX drive “looks” and “feels” like a more professional backup media. be a taboo subject but generally folks don’t speak about these issues. To the next! Kind regards!! A talented musician/ artist and expert technology pundit to boot – you’ve done a great job at keeping that quiet. Many thanks for your valuable contribution to our humble corner of the Internet, I’m a lifelong fan! Your first album was simply acoustic perfection and “Baby” in particular will always remain a timeless classic. I found the second album really reflected your new found maturity and an impressive work for a 4 year old. “Boyfriend” stood out as a complex, dark and gritty piece which to this day makes me proud to be a Bieberette.